This team negotiated the Teacher Contract in 2013. This is the team that negotiated the Educational Assistant Contract in 2015. The room was packed for an EA bargaining session in 2015. A member pickets for universal preschool at the district school choice fair in 2013. 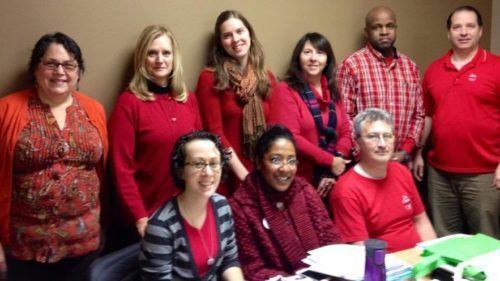 SPFE’s Bargaining Teams are responsible for negotiating contracts for each of our bargaining units with the district. 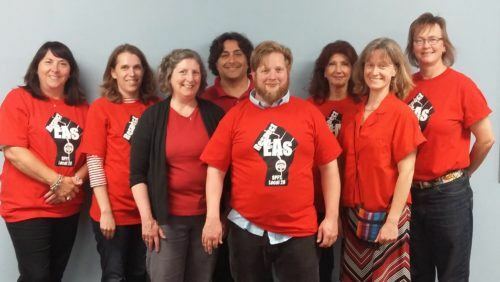 Appointed by the Executive Board, Bargaining Teams represent all of our members in negotiations. We strive to have teams that are representative of our membership as a whole. Because our working conditions are our students’ learning conditions, we believe that our contract negotiations must be about more than just wages and benefits. When something is impacting a student outside of school – be it racism, hunger, poverty or any other issue – it will impact their learning inside of the classroom. In addition to fighting for raises and quality insurance, in recent years we have expanded the scope of our bargaining. We won class size limits in our contract, support staffing agreements, increased opportunities for family engagement, and a Restorative Practice pilot program in Saint Paul Public Schools. 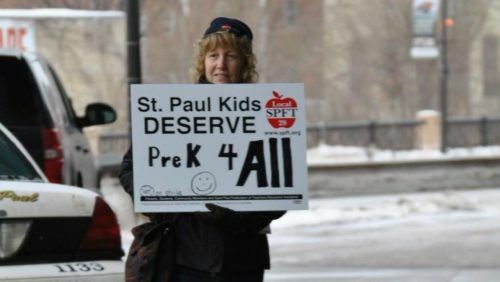 Our primary goals during bargaining is to make sure that Saint Paul Public Schools is an excellent place to work and a great place for kids to learn. We believe that our contract is the strongest tool we have to achieve high-quality, racially equitable public schools. That is why our members work closely with the community to craft our demands, and we rely on collective action to improve our schools for our students and our members. The contract for 2018-20 has been approved by members. 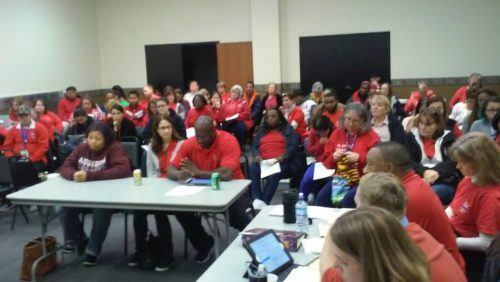 Contract negotiations will begin again in the 2019-20 school year.